Did you see Bryan’s Blog today? His post was called “A Scout’s guide to earning and wearing a religious emblem” and it featured Jason Noland, P.R.A.Y. CEO, answering questions about religious emblems and why scouts should earn them. Bryan’s Blog reaches over 10,000 people who receive daily emails. How fitting that religious emblems is one of the topics. 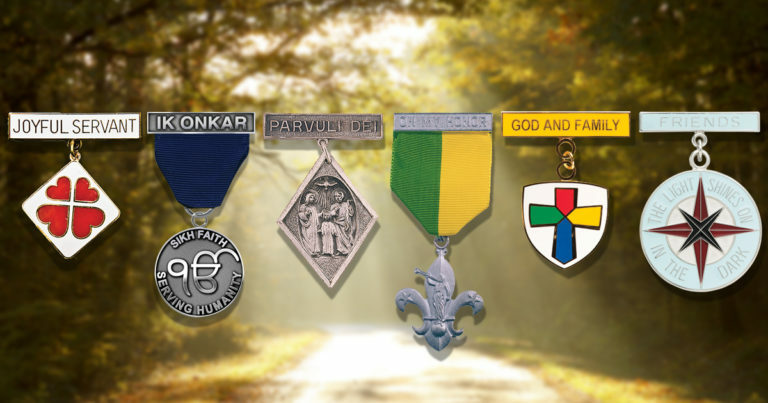 Duty to God is part of the Scout oath, and with Scout Sunday/Sabbath scheduled for the second weekend in February, 2018, Bryan’s post is a timely reminder for Scouts to get started on their religious emblem. Just as important, it is a reminder for adults to come alongside and help make connections to the scout’s own faith community. Don’t know where to start?  Start by talking about religious emblems. Here’s a sample script to help you make a presentation to your unit. It’s a first step, but one that will benefit your scouts and families. If you appreciated the information on religious emblems and are looking for regular updates, consider subscribing to the following services. Better yet, encourage others to sign up, too! 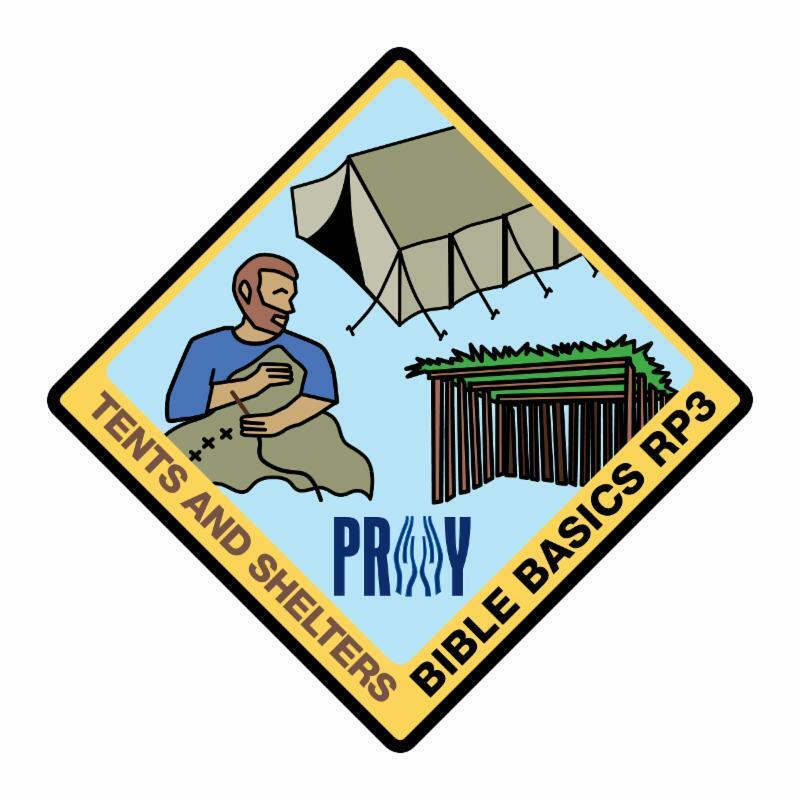 Tune in to the BSA CubCast - The December episode is an interview with Jason connecting Cub Scout adventure requirements to religious emblems. Did you know that the 2018 Journey to Excellence scorecard offers bonus points for conducting a substantial council-wide activity dedicated to Duty to God during 2018? Did you know that one of the options is to conduct a Ten Commandment Hike? You’ll be glad to know that P.R.A.Y. has posted detailed resources to help you organize your own event. Ten Commandment Hikes (sometimes called "Religious Diversity Hikes") are interfaith and cross-cultural events. Hikers visit ten different houses of worship to hear a brief talk about that faith, its worship space, and an explanation of one of the Ten Commandments. Participants gain greater understanding of other religions and are introduced to the religious awards programs ( read an archived post from Bryan's Blog ). If your community is interested in sponsoring a "Ten Commandment Hike", these sample resources can help to organize such an event. Host a council-wide hike in 2018 and earn bonus points in your Journey To Excellence scorecard. Ron Flournoy, Cubmaster of Pack 1879 in Midlothian Virginia and Sunday school volunteer at St. Mark’s United Methodist Church, was presented with the Building Faith in Youth award on October 1, 2017. This award is presented to individuals who have taught the P.R.A.Y. Program for a minimum of three years. 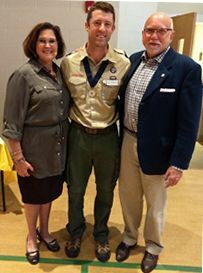 Not only has Ron taught God and Me and God and Family to his Cub Scouts, he has also worked with the pastor and youth director to bring the P.R.A.Y. classes to the youth of the church. While their primary goal has been to introduce children to a personal relationship with Jesus Christ, a secondary objective has been to promote more membership in both Scouting and the church. 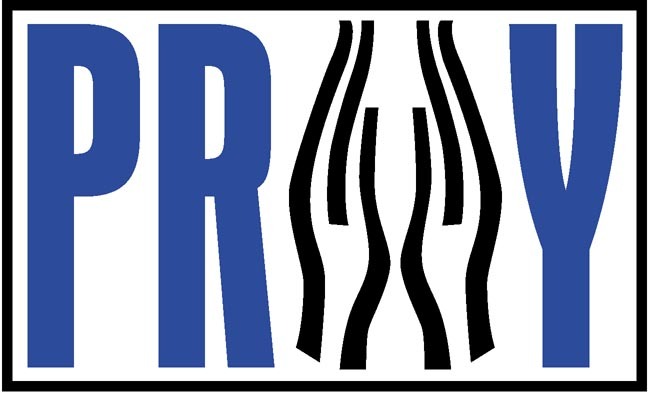 With their support, the P.R.A.Y. awards have grown from 8 to 24 in the last three years, and the P.R.A.Y. courses are taught during the Sunday school time slot so that families are present in church when both Sunday school and the Relevant contemporary service are available. Five years ago our own family began visiting St. Mark’s as guests of the Cub Scout Pack. I became a den leader and am now Cubmaster of the Pack while our family has become members of St. Mark's church. My wife and I serve as Sunday school volunteers and our children enjoy supporting the worship arts programs and church missions. It is our hope that by continuing this partnership we will continue to bring more families into the church as members of Scouting and more families into Scouting as members or guests of the church. Congratulations to Ron Flournoy on receiving the Building Faith in Youth award! Thank you to St. Mark’s UMC for blending your Sunday school and Scouting ministries! Note: Adult awards differ from youth awards in that they require a nomination process, i.e. someone familiar with the nominee’s service to Scouting and to their congregation would put together a resume of their service, write a letter of recommendation, and obtain the required signatures in order to surprise the nominee with an adult recognition. Plan now to recognize worthy adults on Boy Scout Sunday/Sabbath. Click here for nomination forms . Thank you, Max, for your sponsorship and for strengthening the partnership between NLAS and P.R.A.Y. We appreciate your commitment and support! Note: A patch sponsorship costs $1,000 to help cover the startup expenses of new curriculum and patch inventory. Click here for more information . Please consider sponsoring a patch. Martin Luther said, “The Bible is the cradle wherein Christ is laid.” By sponsoring a patch, you are reaching out to children, youth and families and nurturing a lifelong love of Holy Scripture. Help promote Duty to God ... share this newsletter with others!